THC Tincture Small Our THC Tincture is handmade from scratch. This is a hot alcohol extraction which is a very effective method for extracting the active ingredients from the cannabis plant. Temperature has a lot to do with the effectiveness of the active ingredients being released from the cannabis plant. We use a slow heating process over 4-6 hours which is the key to a successful concentrated tincture. Mix into any 4oz beverage for easy consumption (we prefer apple juice!). No stinky smell, no messy rolling process, and best of all, longer lasting effects than smoking. 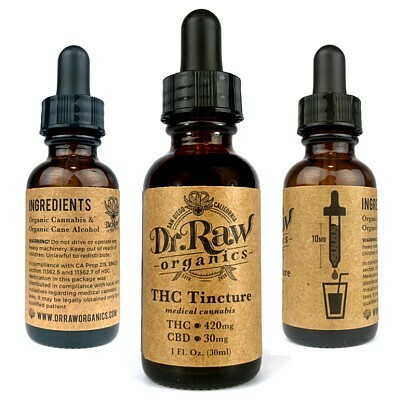 The tincture comes in a 420mg (30ml) dropper bottle or 210mg (15ml) dropper bottle. The effects of this tincture can last up to 8 hours. ***NEW*** BERRY WHITE-PAX ERA PODS- HIGH INTENSITY .